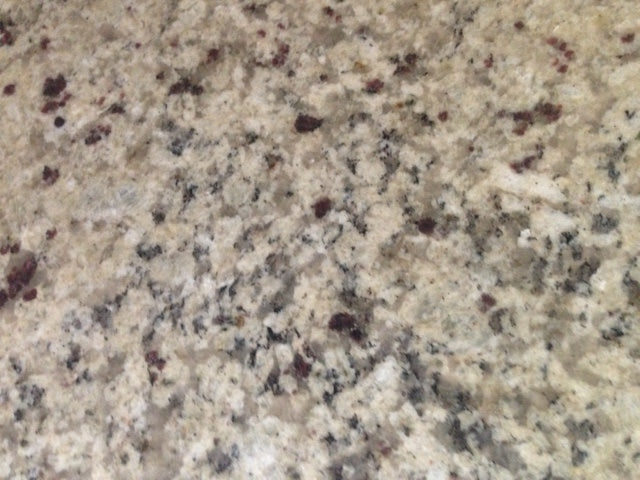 Crystal Creme granite is quarried in Brazil. It is a stone that features an overall neutral beige color with thickly speckled black, grey, and pale mineral deposits. Because of the light beige color that has little variation, it is often used in lighter settings and color schemes. However,with darker cabinets it would provide a beautiful and amazing contrast. Even with varying lighting conditions, Crystal Creme granite will look about the same in any room. It is a perfect choice as a bathroom countertop, because it goes well with lighter color schemes that are typically used in bathrooms. Crystal Crème works well with light and dark décor and with both contemporary and traditional styles. It can transform the look and feel of any area and adds a stunning and luxurious design element.